Designer Mossimo Giannulli believed that the market for golf gear “lacked any sort of energy or spirit” according to a recent article from Bloomberg, so he created his own line of fashionable gear aimed at golfers with a sense of style. You immediately get the impression that this isn’t the typical golf brand when you arrive at the G/Fore website. 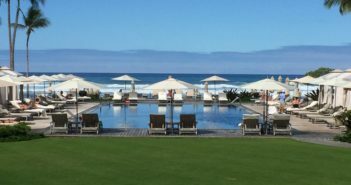 The layout and graphics alone convey an attitude that is very different than what you’ll find at practically every country club. When you start browsing the products you see beautifully designed gear that you would be comfortable wearing anywhere. The brand doesn’t have many big-name golfers behind it other than Bubba Watson, but influencers like Justin Timberlake and Michael Phelps have worn the brand. The clothes are generally slim-fitting, so the brand isn’t targeting the weekend warrior who has let his beer belly grow with his golf game. 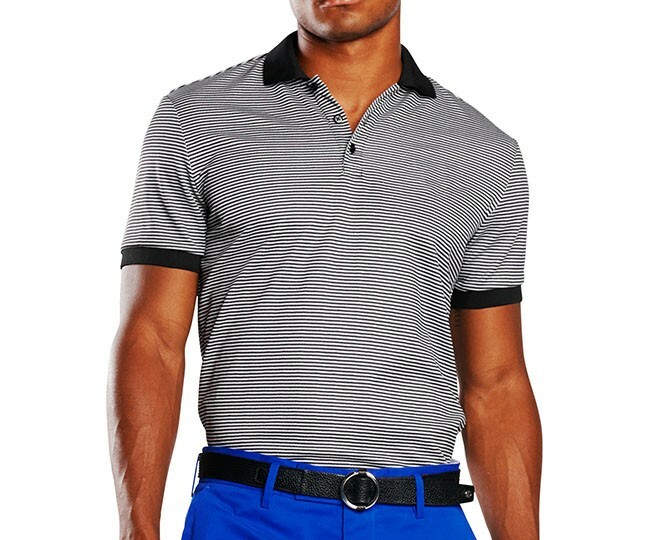 But if you’re in good shape the G/Fore gear will definitely make you look good and you’ll want to wear the shirts, shorts and pants off the golf course as well. This Feeder Polo offers a great example of the style of the brand. Like many of the options you’ll find as you browse the clothes, it provides a “fun twist on an old staple” as explained on the website. 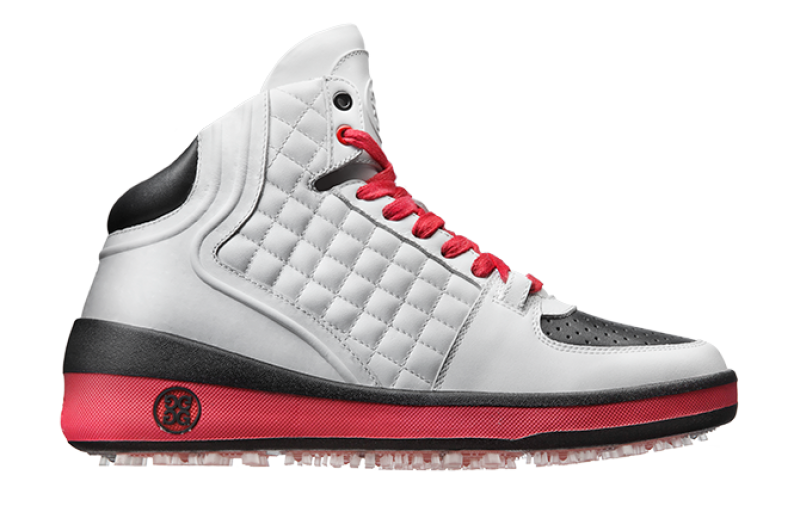 With golf shoes, you’ll have all sorts of stylish options, from traditional shoes with unique color accents to more interesting designs based on sneaker styles like the high-tops pictured below. 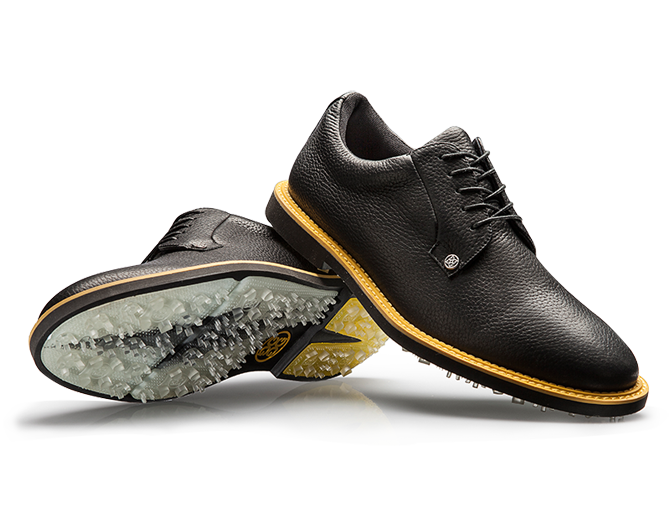 Browse this section and you’ll find the perfect golf shoe to upgrade your look. 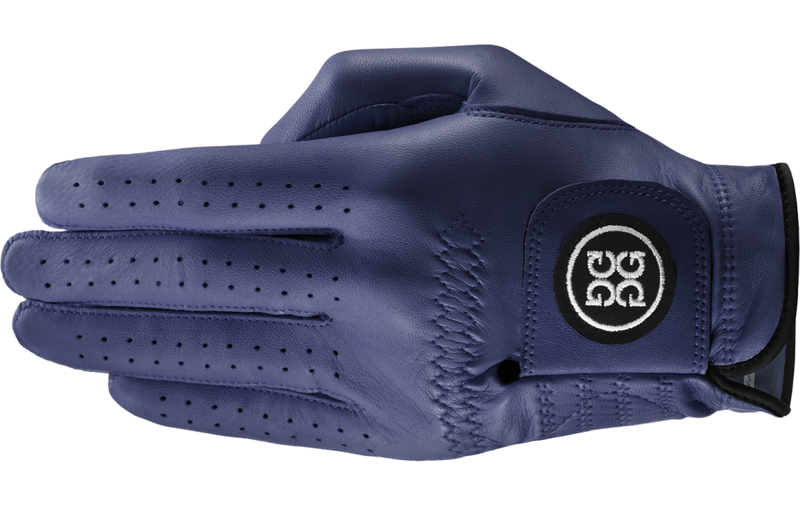 Finally, the golf gloves offer a great accessory option with many cool colors and the ability to custom design your own gloves with the glove builder page. 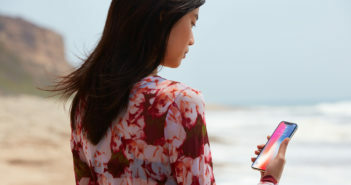 As you browse this website you’ll be inspired to find styles that fit your own sense of style and you’ll probably find some great summer clothes, not just gear for the golf course. Also, with Father’s Day coming up, G/Fore offers up some great gift options. Even if the shorts and pants aren’t an option due to the slim fit, the gloves and shoes can help most men add some color and style to their golf wardrobe.